Omega Audio Video, LLC has completed an installation at The Savannah College of Art and Design’s historic Ivy Hall location. Omega Audio Video, LLC was chosen to integrate a surveillance system into Ivy Hall which is located at the corner of Boulevard and Ponce de Leon in Atlanta. The college uses this property for their writing classes. 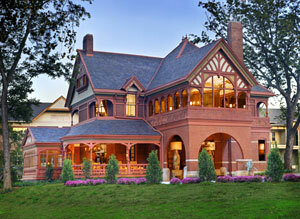 The installation at this property was a challenge since this historic home has been in Atlanta since the 1800’s. The system uses state of the art technology with the latest cameras from Panasonic along with the new Panasonic HD-616 Digital DVR. Omega Audio Video, LLC is implementing Panasonic’s comprehensive remote viewer/controller software to cut down on man hours. There is no need to go to the site to review or email video. All operations and maintenance can be operated from a remote site.